Ikea is betting on indoor gardening in the US. The furniture retailer is introducing a line of products, part of the Krydda/Växer collection, that’ll help you start your own indoor hydroponic garden. Unlike regular gardens, hydroponic systems don’t use soil to grow plants — only water. That water is filled with nutrients to make it a viable way to cultivate plants. Because light, nutrient and water levels are easily adjustable, hydroponic devices also allow for finer tuning of growing conditions. This makes the process less water intensive and viable year-round. Plus, it helps novice gardeners skirt some common problems, including over- or under-watering, root rot, pests, and insufficient fertilizer. Ikea’s collection offers a number of different indoor gardening units. There’s a nursery unit, which has small holes that allow seeds to germinate, as well as a cultivation unit, which houses matured plants. 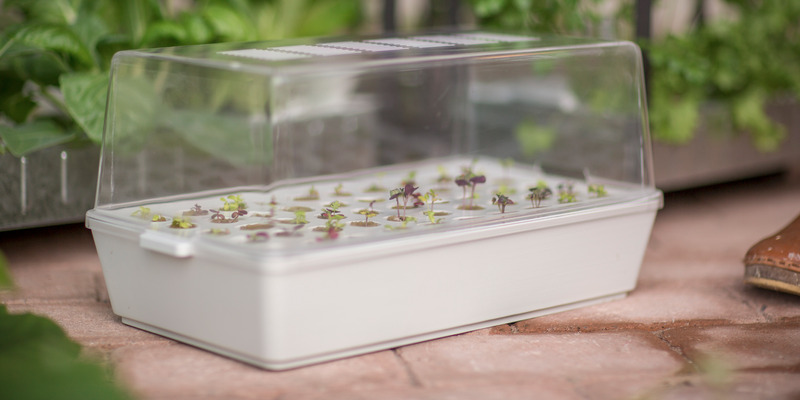 The collection also includes plant inserts, nutrients, and artificial lights, allowing customers to create kits with everything they need to grow herbs and greens indoors from start to finish. The US collection will also include seeds for 18 types of herbs and salad greens, ranging from basics like lettuce, arugula, and chard, to slightly more exotic greens like chicory, amaranth, and mizuna. To take care of the plants, users just need to germinate them by placing them in water-soaked, nutrient-filled plugs in a nursery unit. Once the plants have matured, you can move them to a cultivation unit, where you give them fertilized water until they mature into harvestable greens. The company hopes to have the collection on sale by Spring 2017, though a spokesperson for the company said product shipments could be staggered based on supply. The collection is already available in the UK, but the expansion to a much larger customer base in the US suggests the products have thus far been successful. 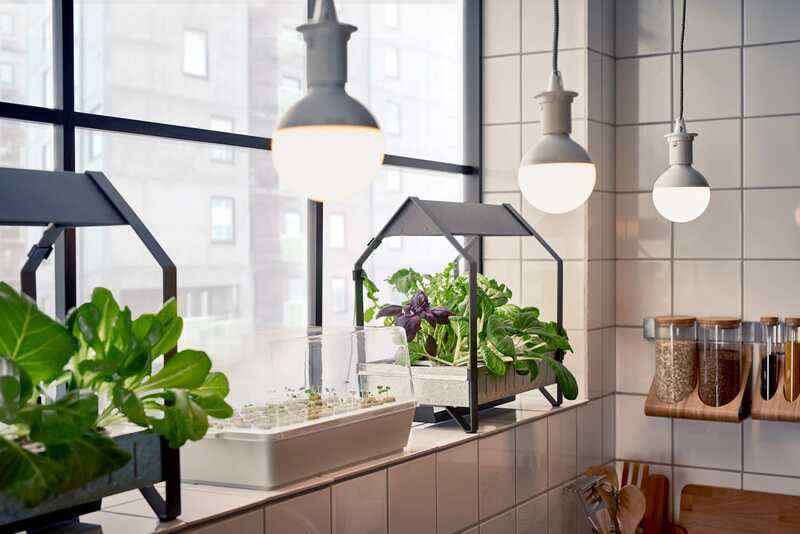 With the release of its first hydroponic systems, Ikea is joining numerous companies that are already using hydroponic technology to create innovative indoor gardening products. The Calla, which raised over $85,000 on Kickstarter, is a modular hydroponic system that allows you to grow a countertop herb garden with very little maintenance. And company called Everblume is making an enclosed hydroponic grower that controls the air temperature around your plants. Though IKEA’s contribution to that list lacks the smart functionality of some other similar devices, the fact that it’s being sold by the furniture giant will likely bring hydroponics even more into the public eye. The move suggests indoor hydroponic gardening is no longer a rarefied hobby for environmentalists — with the new units, it’ll be something anyone can start doing for relatively little cost. Check out the video below to learn more about IKEA’s hydroponic kit.